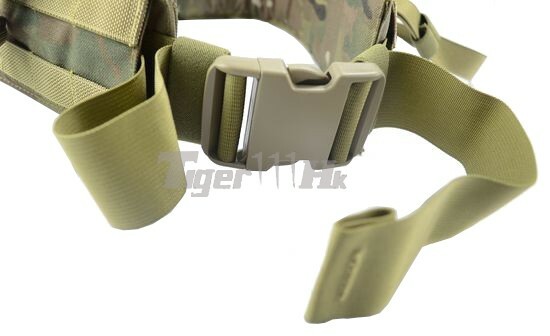 The difference between FLYYE Right-Angle Belt(Ver. FE) and FLYYE Right-Angle Belt is that the belt head is opening, so the Belt can be collected into it. 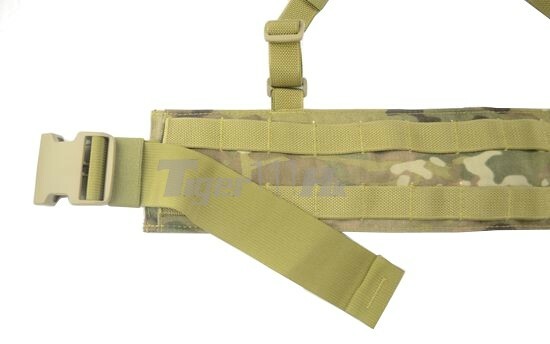 Load Balance web system with MOLLE belt provided a lightweight choice for CQB. 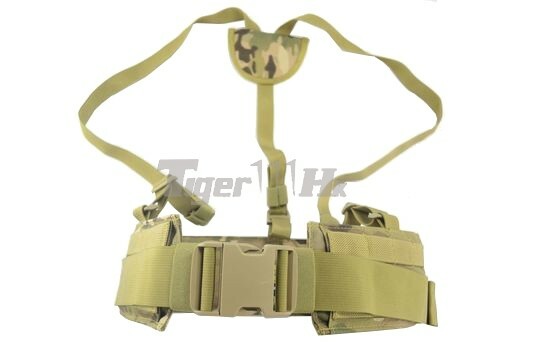 Adjustable Suspenders and Waist size. 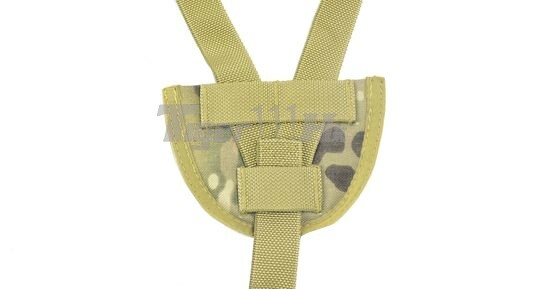 Fast release buckle at Waist Belt for easy release when needed. INVISTA 1000D CORDURA® Nylon Construction. Making this gear more resistant to the usual wear and tear (up to three times more resistant than normal Nylon). The material is resistant to water, and can handle damp environments easily, maintaining its structure. 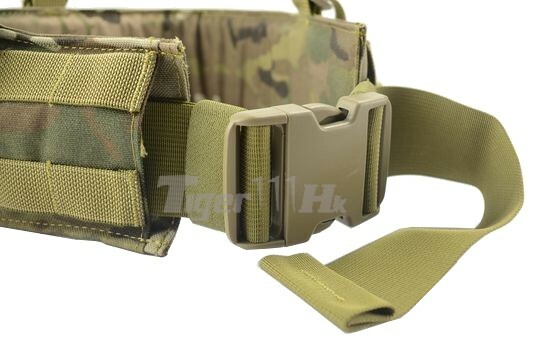 The construction is made to military specifications, which ensures that this product will last a long time, throughout all conditions.